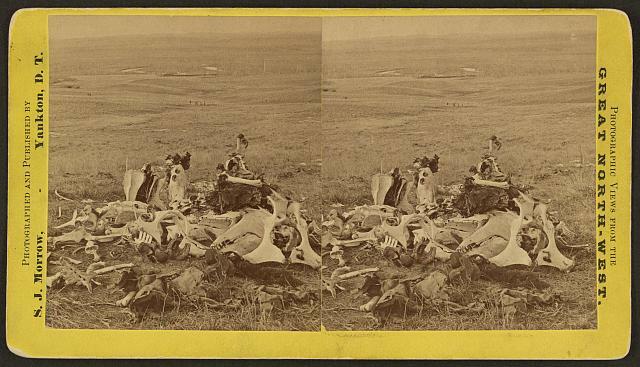 June 25th will mark the 136th Anniversary of the Battle of the Little Bighorn. However, this post is not meant to discuss the tactics, recent archeological findings and conclusions or to analyze the conduct of the senior officers of the Seventh Cavalry. One of the aspects of the Little Bighorn that I find particularly fascinating, and will discuss here, is the Civil War experiences of the Soldiers who fought at that battle. Many of us are familiar with Thomas W. Custer receiving two Medals of Honor at Namozine Church and Sayler’s Creek. While his actions easily surpass those of other members of the Seventh Cavalry, I feel it is appropriate to bring to light the experiences of a few of his comrades during the War of the Rebellion. Although this listing does not encompass all of the members of the Regiment who served during the Civil War, I have attempted to capture the highlights. Major Marcus Reno was injured at the Battle of Kelly’s Ford and received a brevet for gallantry at Cedar Creek. Captain Frederick Benteen served in the 1st and 10th Missouri Cavalry. He saw action in eighteen different engagements including Wilson’s Creek, Pea Ridge, and Selma. Captain Thomas French, Company M, was wounded at the Battle of Peebles’ Farm during the Siege of Petersburg. Captain Myles Moylan, Company A, served on John Gibbon’s staff when Gibbon commanded the Twenty Fourth Corps, Army of the James in 1864-65. Captain George Yates, Company F, began the war as a private in the Fourth Michigan Infantry before being appointed to the staff of Major General Alfred Pleasonton in June 1863. First Lieutenant Algernon Smith, Company E, was severely wounded during the assault on Fort Fisher. First Sergeant John Ryan, Company M. Ryan is probably the best known enlisted man in the Seventh Cavalry. He served in the 28th Massachusetts Infantry (one of the Regiments in Thomas Meagher’s Irish Brigade). Fredericksburg, Chancellorsville and Gettysburg number among some of the battles in which Ryan fought. Ryan was wounded at the Battle of Reams’ Station in August 1864. Private William Abrams, Company G, wounded at the Battle of Bristoe Station. Private Hugh McGonigal, Company G, served in the 2d U.S. Cavalry. Private Thomas Way, Company F, was wounded and captured at the Battle of Chickamauga. Private William Logue, Company L, served the entire war in the 2d New York Cavalry. For more detailed information on the Civil War experiences of Soldiers who fought at the battle, you may view previous posts of Some General Thoughts on General Custer and Truth and Valor Wearing. This entry was posted in Battlefields & Historic Places, Battles, Campaigns, Common Soldier, Emerging Civil War, Leadership--Federal. Bookmark the permalink. As always, great material on a fascinating subject. You did mean 136th anniversary, right? Thank you and yes-I did mean the 136th. I never was very good with math. Definitely one of the more fascinating figures during the Civil and Indian Wars. I detailed Keogh’s Civil War experiences in March in “Truth and Valor Wearing”.